taking effect on April, 3rd 2017. ESCP Europe, the international business school with six integrated campuses across Europe, is pleased to announce that Professor Léon Laulusa has been appointed Dean for Academic Affairs, for a 3-year term of office, starting on April 3, 2017. Professor Laulusa continues to be Dean for International Relations at ESCP Europe. Professor Laulusa teaches financial accounting, audit, corporate governance, management accounting and control, and management practices in China. His main research interests span from international financial accounting to the impact of national culture on firms’ management. Alongside his teaching and research activities, Leon Laulusa advises top management in strategic performance and finance issues in an international environment. Previously, he was a part-time lecturer at HEC Paris, at Paris-Dauphine University, and at the Institut National des Telecommunications (INT). 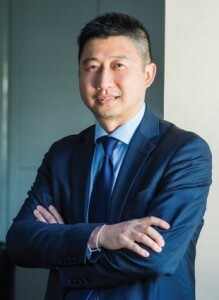 He served as Partner in the Audit practice and then concurrently in the Financial Services practice and China Desk office at Deloitte France. He led various projects and consulting assignments in finance and audit issues, at the national and international levels, and more specifically in Asian countries, on behalf of large listed firms and governmental organizations such as the European Commission and the World Bank. As the Dean for Academic Affairs, Professor Laulusa will support the development of ESCP Europe and confirm the virtuous model that has allowed ESCP Europe to rise and remain in the exclusive club of the best international business schools. Leon Laulusa holds a PhD in Management Science (Paris-Dauphine University), an HDR (French qualification for PhD Supervisor) and a French Chartered Accounting degree (Diplôme d’Expertise Comptable). He is an ITP alumnus of Kellogg School of Management-Northwestern University. Prof. Frank Bournois, Dean of ESCP Europe declares "The role of our Dean for Academic Affairs is crucial for the development of our programme portfolio and to ensure we maintain our standards of excellence across all programmes. I trust Prof. Laulusa to strengthen and deepen the achievements of our former Dean Prof. Andreas Kaplan, who becomes the new Berlin Campus Director. I praise Prof. Kaplan for the work done in terms of internationalisation of all our programmes and I’m confident that his successor, with his international skills and mind-set, will help the school take a new step forward”.